Another all Premier Handball League clash sees Olympia and London GD meet, while last season’s giant-killers Oxford University entertain London GD II. Elsewhere, Leeds Beckett University face Islington, Carshalton Titans welcome Cambridge, Bristol play NEM Hawks, Brighton travel to Nottingham, while West London Eagles play Manchester. 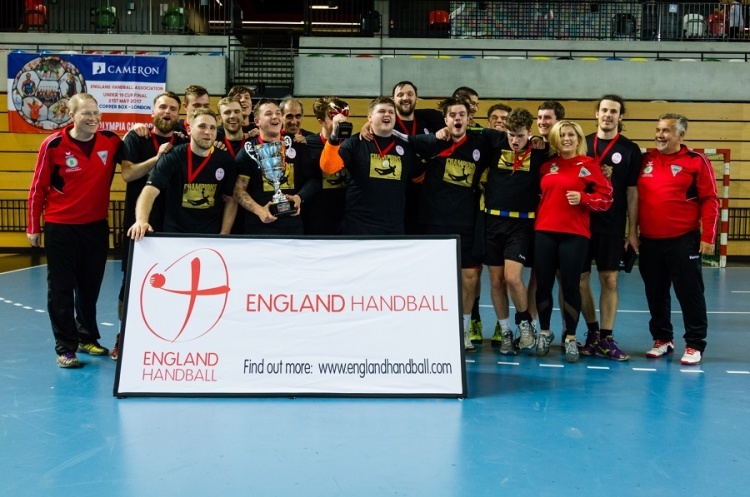 Liverpool have struggled in the Mens’ Premier Handball League after being promoted last term. Warrington got their season off to a flyer. However, their last four league matches have seen them lose three and draw one. Throw-off at Greenbank Sports Academy on Sunday is at 12.30. Olympia and London GD play on Saturday at Medway. GD top the Mens' Premier Handball League with six wins from six matches. Olympia are unbeaten this season in five league matches, only dropping points when they drew with Wolves. Throw-off is at 16.30. Oxford, who head a tight Mens’ South East Tier 1 Regional League, made it all the way through to the semi-finals last year, beating Oly Cats and Manchester along the way, before falling to NEM Hawks. They face a London GD II side who top the Mens’ South East A Regional League on goal difference with three wins from three matches. Throw-off at Stoke Mandeville on Sunday is at 16.30. Last year’s beaten finalists NEM Hawks travel to the West Country to play Bristol. Hawks are one of four teams on 14 points chasing leaders GD in the Premier Handball League. Bristol of the Mens’ South West Regional League beat National League South Reading in the first round. Throw-off at Wellington School is at 15.30 on Saturday. In-form teams Nottingham and Brighton face each other at Sutton Bonnington on Saturday. Nottingham have won their last four Premier Handball League matches, while Brighton top the National League South with five-wins-from-five matches. Throw-off is at 14.30. Carshalton Titans and Cambridge play each other at St Mary’s University on Saturday. Titans of National League South beat Coventry of National League North in the first round. They face a Cambridge side who returned to winning ways with victory over Wolves in the Mens' Premier Handball League last weekend. Throw-off is at 16.30. Manchester of the National League North will be hoping to turn from giant-killed to giant-killers when they travel to Sporthouse Barking on Saturday to play Mens' Premier Handball League side West London Eagles. Eagles have found the going tough this season but secured their first win of the campaign against Liverpool last week. Throw-off is at 15.00 on Sunday. National League North plays National League South when Leeds Beckett University and Islington meet at Leeds Beckett University Headingley campus on Saturday at 14.30. Islington beat Bath University in the first round, while Leeds Beckett came out on top against Oly Cats.